Decorative concrete application which includes stamped concrete, toppings, stains, dyes, etc. 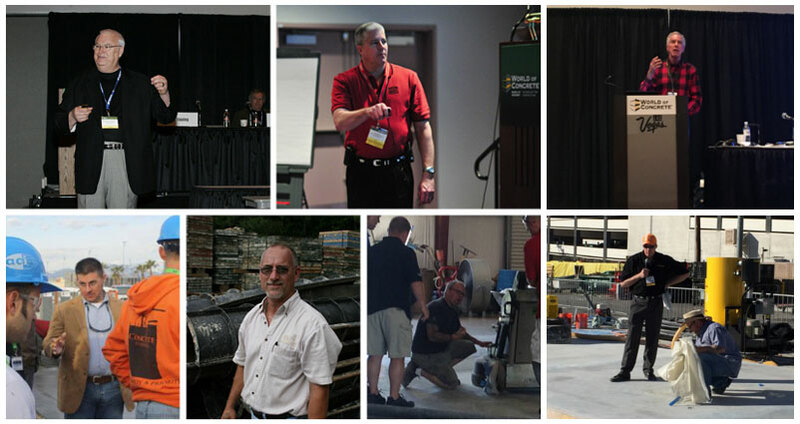 Through the years, our professionals have presented seminars in a wide variety of topics and applications in many different venues such as World of Concrete (WOC), American Concrete Institute (ACI), Wacker Neuson Concrete College and Decorative Concrete Institute earning us many Industry Awards. SSI has shared their knowledge and expertise in training worldwide, i.e. Holcim (France and Italy) and private companies located in Canada, the Caribbean, England, France, Germany, Greece, India, Indonesia, Ireland, Mexico, South America, South Africa and Spain. In addition to the preconstruction and construction services we provide forensic repair, dispute resolution and expert witness evaluations.